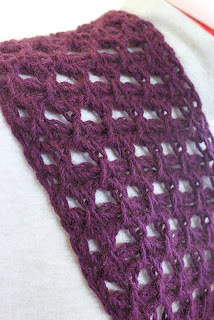 Finally got pictures of the lacy Tunisian scarf I finished a week or so ago. 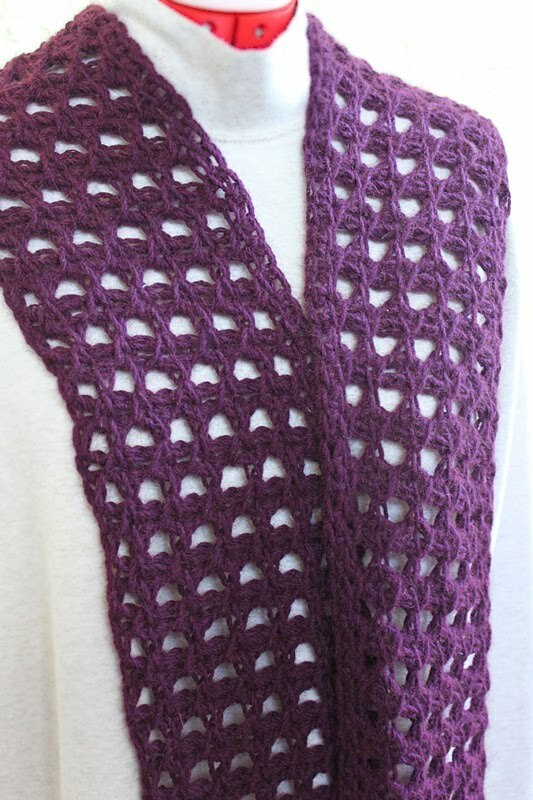 The pattern is 'Tara's Tunisian Scarf' from Interweave's Crochet Accessories 2010. 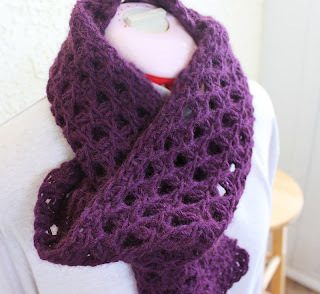 I used a heavier yarn and bigger hook; very pleased with how it turned out. This was my first time using Supreme 'Possum Merino' and I loved it. Great stitch definition and drape. Hope Rach likes it as much as I do.